Matching exercise to learn some words associated with Saint Valentine's Day, a holiday celebreated on 14th February. 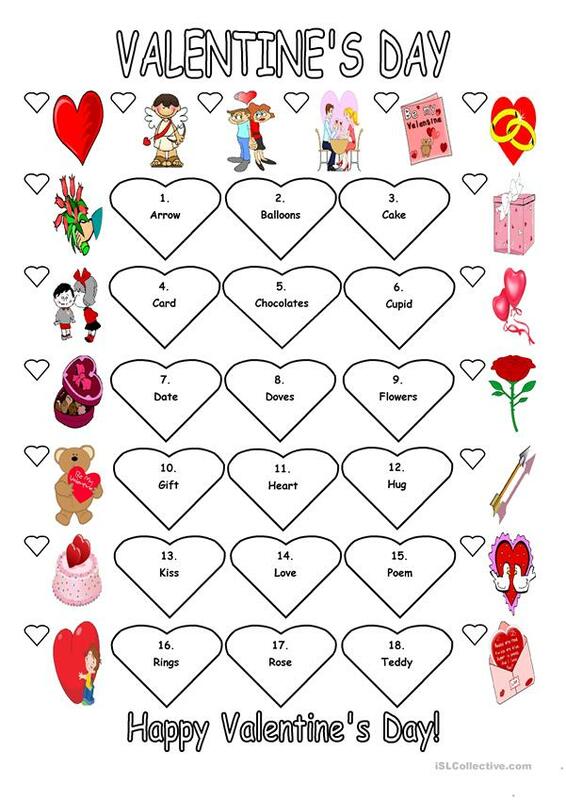 Students have to read the vocabulary in the big hearts and write the correct number in the little hearts next to the pictures. I will attach some more resources related to this special day. This downloadable worksheet was created for elementary school students at Elementary (A1) and Pre-intermediate (A2) level. It can be used for developing your pupils' Spelling and Reading skills. It focuses on the theme of Valentine's Day.